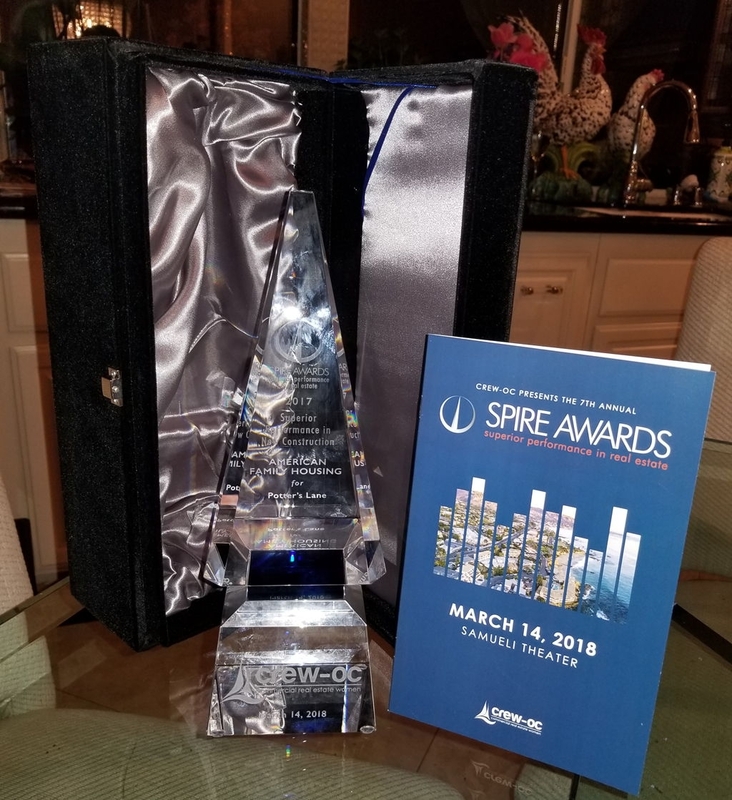 Commercial Real Estate Women of OC celebrated the organization’s 30th year last evening at their annual recognition dinner and presented their Spire Award – for Superior Performance in New Construction to American Family Housing for our Potter’s Lane Project. We are very proud of this first-in-the-nation project using steel shipping containers to construct permanent supportive housing for formerly homeless veterans and can’t thank our donors and partners enough for all they did to make these beautiful homes a reality. Steve Forry attended the dinner and accepted the award on our behalf.